Fruit drinks, sports drinks, energy drinks, juices, bottled water, carbonated drinks, ready-to-drink teas and coffee, beer, wine, spirits – the variety of beverages continues to proliferate and grow. And beverage producers must provide a consistent quality product, all while maintaining profit margins. 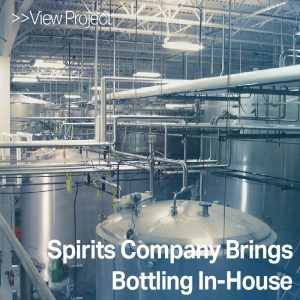 Our clients have grown – one longtime craft brewing partner recently topped 4.1 million barrels per year – and we’ve grown with them, developing the infrastructure and equipment they need to meet burgeoning and changing demand.